The long queue outside Japanese eatery, Misato, suggested that the food must be good, yet, looking inside, my confidence waned. Diners were crammed tightly together on basic wooden tables and chairs, and the plain beige walls lining the small space desperately needed some cheering up. It seemed to lack ambience, especially for a Chinatown restaurant. Still, every table was full and diners were chowing down on bountiful portions of sushi, noodle and curry dishes. I decided I had to leave my preconceptions at the door. Following a twenty-minute wait in the queue, we were seated and quick to order. As the chicken katsu curry promptly arrived at our table, I was alarmed at the presentation. The rice was piled up messily and there was a huge breadcrumbed chicken portion resting on top with a generous drizzle of thick curry sauce. A mixed salad sat beside it all. The meal looked like it had been hastily thrown together by someone eager to clock off from their kitchen duty, but as I looked around, I noticed fellow diners’ dinners appeared in the same fashion. As I got stuck in, I was pleasantly surprised. The fried chicken was crisp on the outside and tender on the inside, and the curry sauce was flavourful. The salad was dressed well and complemented the flavours with every mouthful. 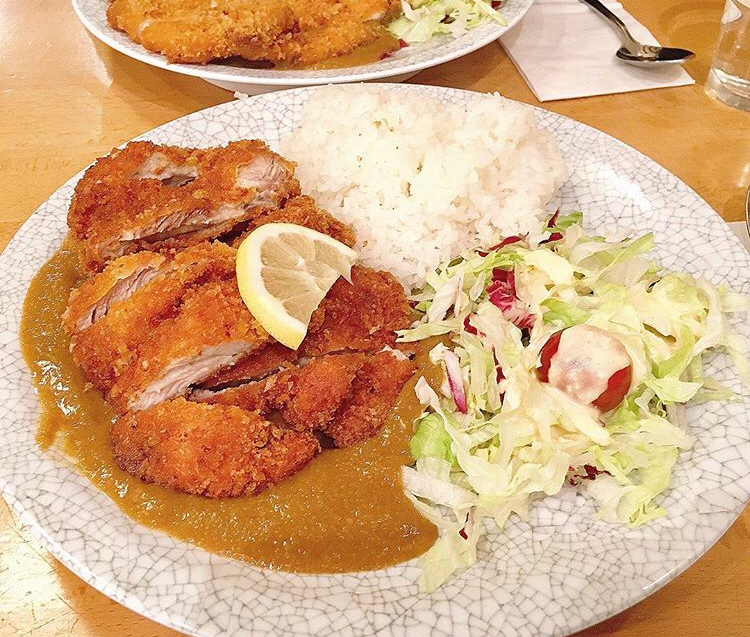 Misato gives Wagamama’s much-loved chicken katsu curry a run for its money – plus you get almost double the portion for less money (£6). Now the rice did not arrive in a perfectly-formed mound as you would get at Wagamama, but the salad portion was sprawling, and the overall taste of the meal was as good as, if not better than that you get at the restaurant chain. At Misato, it seems the food is cheap and tasty and the portions are big. Our meal for two came to just £18 (payment is cash-only), with drinks and service included – something that’s often unheard of in London. The queue outside Misato is worth the wait and, as that old saying goes, looks can be deceiving. Looks delicious!! I love chicken Katsu curry!!! !